Copyright �2017 PopEntertainment.com. All rights reserved. Posted: February 10, 2017. It�s Sunday afternoon at the Peninsula Hotel on Fifth Avenue in New York, and actress Rosamund Pike has come down with a terrible cold. She has also developed a case of laryngitis, her voice a hoarse croak, while on the road for a publicity tour for her film A United Kingdom. Still, trouper that she is, she takes a cup of tea and sits down to discuss the film with a procession of journalists. It is a labor of love; both her acting career and more specifically this new film. Pike had gotten involved in the movie when actor David Oyelowo, with whom Pike had worked with previously in Jack Reacher, had emailed her saying he was sending a script that was arguably the best love story in history. That script was A United Kingdom. 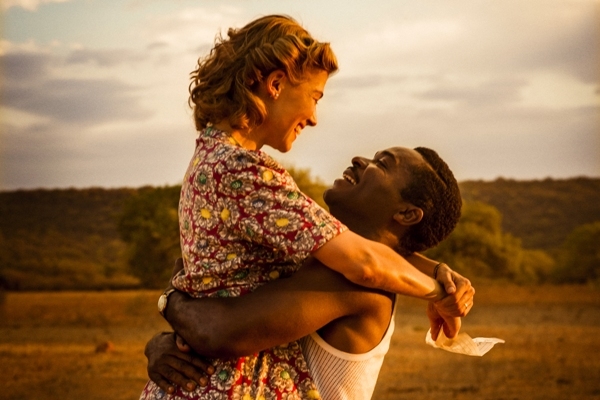 Telling the story of Saretse Khama, the incoming King of the African country of Bechuanaland (which has since become Botswana) and Ruth Williams, a British office worker. Seretse and Ruth met at a party and fell in love at first sight. Though they had little in common � he was African royalty, she was a white commoner � there was an instant attraction. They were quickly married and Ruth moved to Africa with Saretse, despite the disapproval of her family, his family, his country and the world of 1947 in general. Their relationship was used as a political chip in the United Kingdom�s attempt to annex his country, but the two worked together to save the country and make it a free democracy. It�s another fascinating role in the always intriguing British actress� widely varied body of work. Pike is probably best known for her Oscar nominated turn as the unhappy and slightly unhinged title character housewife in the hit thriller Gone Girl. She has also worked on a complicated filmography that includes being a Bond girl in Die Another Day, playing the sane girl amongst arrested-development guys in the sci-fi comedy The World�s End, a feminist civil rights pioneer in Made in Dagenham, the long-suffering girlfriend of a man in the midst of a mid-life crisis in Hector and the Search for Happiness and a mythical Goddess in Wrath of the Titans. 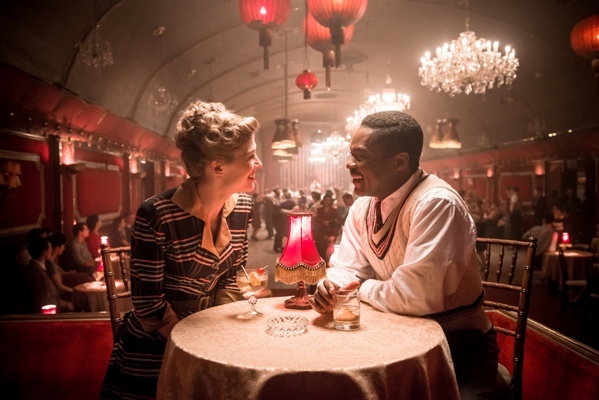 Shortly before the New York and Los Angeles premieres of A United Kingdom, Pike braved her illness to sit down with me for this exclusive chat. You were saying that David contacted you to tell you about Ruth�s story with Khama. What was it about the story that really fascinated you? How did it make you know that you wanted to do this movie? It was this phenomenal love story that sends this blinding message of hope into the world. Political change is broken by love, as far as I could tell. I just found it sensational. I thought no one�s going to leave this theater after watching this movie without feeling filled with hope and I love that. 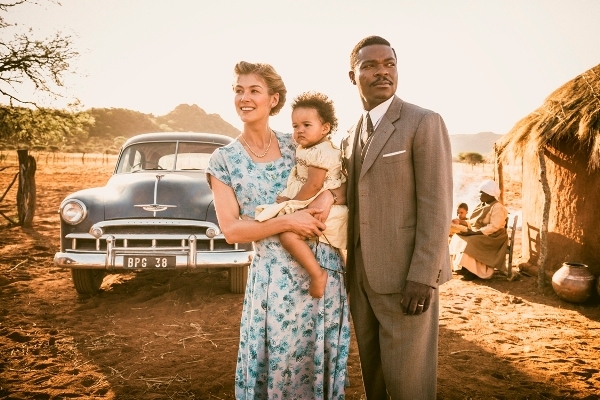 Ruth and Seretse were such pioneers. Ruth was this courageous woman in loving so committedly and wholeheartedly. I just thought this is fantastic. This is everything we need now. It�s the fact that, yes it�s political, but its politics come by completely honestly. You know they want to be together and stay together. In striving for that they achieve so much more. Ruth certainly took a huge chance for love. She basically alienated her family, flew to a different country that she didn�t know, all for a man that she barely knew. Do you think that you could be that brave in the face of love and do something like that? The point is when you�re in it, you�re not thinking about it. You�re not thinking about changing the world. You�re just trying to focus. You�re focusing on something very immediate. She was certain. She had certainty about Seretse. Precious few people find that certainty, so yes I believe that if I was motivated by the same love, I would do it the same. I would play it in the same way. David was so magnetic and amazing, as he was Dr. Martin Luther King in Selma. I know that you�ve worked with him before, but what was it like to work against him in this type of a role? It was heaven. I knew I liked him and I knew we got on well, but I had no idea that we would find the kind of chemistry we did just instinctively, naturally and immediately. It was heaven. I think it was probably because we were both equally committed to these roles. We both felt passionately that we wanted to bring this to the screen. We were buoyed up and inspired by Seretse�s love. Somehow that was channeled through us. It was easy from day one. It was easy. Did he ever tell you why they thought that you�d be the ideal Ruth? No, but I�m so glad he did. Clearly he felt bad about tasering me when I was pregnant in the lift in Jack Reacher and he needed to make it up to me. That might be it, yes. Do you look at it as more of a love story or political story? It can be looked at in both ways. I look at it first and foremost as a love story. As I said, it�s this political change brokered by love. It�s the love story that drew me to it. It�s the fact that Ruth had to discover politics as the story went on that intrigued me. It was interesting to me it almost seemed like Ruth, while she certainly stepped up to what she did, she seemed like she might�ve been just happier to have a quiet life with her husband and her child and not to be thrust into this type of thing. Do you think she just felt like she had to step up to help her husband and the people? I think she took her responsibilities in Botswana very seriously. They realized that they were involved in this political game. It was much bigger than them. They were being moved around like chess pieces. You can�t help but feel the need to fight this injustice. They were pawns in somebody else�s game. They really were, even to the point that Winston Churchill, when he was facing reelection used them to garner support and then left them in the lurch once he was in the government. It�s funny because when people think of Winston Churchill they think of the good things he did in World War II, but they forget about this type of stuff. Was it important to you to get this part out too? I just didn�t know that part of the story. When I read the part of the script where Churchill was endorsing the idea of marriage and saying that this king must be returned to his queen, I thought: oh, it�s Churchill; he�s going to make it all right. He�s going to win the election. I felt a sense of security. Often Churchill does represent security in fiction. Then I was horrified at the betrayal. What was it like filming in Botswana? It was amazing. It was a gift for all of us, in terms of getting the sense of place. You couldn�t mock it up anywhere else. We had the supporting actors, all of the community who were involved in the film, playing the men in the kgotla [public meeting] and the village people. The women who built the rondavels � the round houses. There were moments like that moment where all the women sing to Ruth, which was an unscripted, unasked for moment. It was just a spontaneous gift of song that arose in the moment. You wouldn�t have gotten that if you [made it elsewhere]. That�s a culture bringing its roots to bear on a movie. If we�d filmed it somewhere else, we wouldn�t have had that. The story is over 60 years old, but it�s sadly still very relevant now. What do you think people today, in this crazy political climate, can take from this story? I think they can take a message about trust. We are being invited every day to mistrust everybody. Close down our borders. Close down barriers to understanding and acceptance. This is a film that�s about the exact opposite. It�s inviting you to trust. It�s inviting you to look at what can be achieved if you trust. The alliances that can be made and the bridges that can be built. Do you think that if she were alive today, Ruth would be involved with the women�s marches all around the world? Oh, 100% she would. Yeah. She definitely would. When you�re playing real people... obviously Ruth is not as well known as some others, particularly in the US... but how responsible do you feel to getting the reality of their being out there? It�s different than playing a fictional character. It is, although people can have much more ownership over a fictional character sometimes in their minds. You can get a lot more wrong for people sometimes trying to inhabit a fictional character. In a way it was a dream, this, because they are real, so we have source material to draw on. Yet nobody really knows about it, so it�s not like playing Churchill, or David playing Seretse. People are getting to know the story very likely through our film, so we have some license. Obviously, as actors you want to get close to the truth. You want to feel that you are inhabiting something in an honest way. But the fact that I didn�t look exactly like Ruth doesn�t matter. You got to meet the son, who is now the president of Botswana. Also you got to meet other members of the family. Were you able to talk with them about Ruth and find out different things? We were, but of course we�re dealing with the sons and they have a very different understanding of their parents. They were always their parents. When you think about your own parents, you�re not necessarily au fait with all the details of their courtship. Maybe you are, but you don�t know exactly who they were when they were in their twenties. David said to me, which I thought was really cool, the reason that he thought that you would be perfect for the role is because so many actresses, he could picture how they�d play the part. He couldn�t picture how you would, but he knew that it would be good. How did you come about your ideal of Ruth? By just being open. By feeling like she had this restless spirit. After her experiences in the war, she was looking for something. She didn�t know what. It was the restlessness and the finding of a home for that restlessness in him. And then, my performance is all about David, really if I�m truthful. I didn�t create it in isolation. I created it looking at him. In what ways do you feel you are like Ruth, and what things as an actress did you have more trouble coming to terms with playing? I didn�t have trouble coming to terms with any part of her. I have some of her free spirit, but I think I have a lot more fear in me than her. It�s liberating to play a character who can allow you to escape some of your negative characteristics. It�s liberating. Ruth had to juggle being a political figure and also being a mother. You�re a mother as well, and you also have a very demanding job. How do you juggle your career and motherhood? It�s hard. I mean, it�s been easy so far because my family traveled with me. We�ve had amazing adventures in Botswana making this movie. In Santa Fe for three months last summer. In Morocco and Malta just now. In LA making Gone Girl. 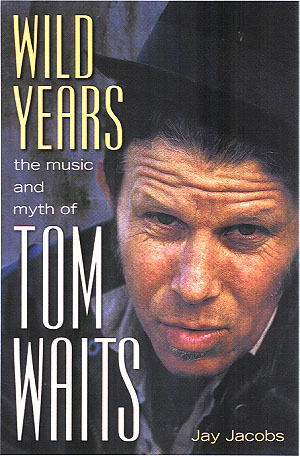 We�ve been a kind of rock and roll band going around the world and it�s been fantastic. Now I have to get my priorities straight. I have to prioritize my children, but know that they will be proud to have a mother who is pursuing her dream career. I have to just balance it. I have to find the balance. It�s new. It�s all new. It�s all changed now my son�s going to school. You just mentioned Gone Girl. Do you find that men look at you a little differently than they did before since playing that role? Yeah, maybe. Even just going to a restaurant last night people were like, "Oh my goodness, you terrified me." What is it like that perhaps the character that you�re best known for was a really crazy person? Oh, I love that. I think that�s great. I like it. I like letting out the crazy. Gone Girl�s a holy grail. It�s an adult movie that is a huge box office hit. That�s the goal. You want a film that grown ups want to go and see in the theater. The Oscars are coming up. What was it like when you found out that you were nominated for an Oscar for Gone Girl a few years ago? It was unbelievable, because I�d done nothing to pitch for it. You always hear that the Oscars require a great big campaign. I was pregnant and had a newborn baby and I did nothing. So that was testament to the fact that [you don�t need to schmooze]. It made me feel very hopeful. I thought, well okay, it�s not all about cynical political appealing for votes, because I got votes and I hadn�t tried for them. That was very exciting. It was an amazing feeling. You�re always an Oscar nominee aren�t you, forevermore? A few years ago I interviewed Simon Pegg and Nick Frost about The World�s End. They said that you were great fun to have on the set; you were like another one of the guys. It just seems like that would�ve been a fun movie to be in. What was the shoot like? Oh, it was great fun, hilarious. Those guys, it�s like hanging out with all the cool kids the whole time. They�re always funny. They�re funny guys all the time. Quiz shows, game playing. There�s nothing serious on set. It�s fantastic. Recently, I�ve done all period pieces this year. Yeah, exactly. What is it like to sort of immerse yourself in another time? You have a few movies coming out. I know that you�ve got Hostiles coming out and High Wire Act. What can we expect from those? High Wire Act is a very interesting look at the beginnings of the strife in the Middle East. [It�s] set in Beirut in 1982, just probably before the bombing of the American embassy. It�s a thriller, a fictional thriller, but based on a certain hostage crisis that happened during that time. I just wanted to look at the Middle East through the prism of the 1980s. It was a very interesting melting pot at that time. And then Hostiles is a real journey across the American west. Again, a story that hopefully will bring people together. A story about strife and fear. [About] having the need for an enemy and the need to overcome that and forgiveness. It�s a very, very human story. 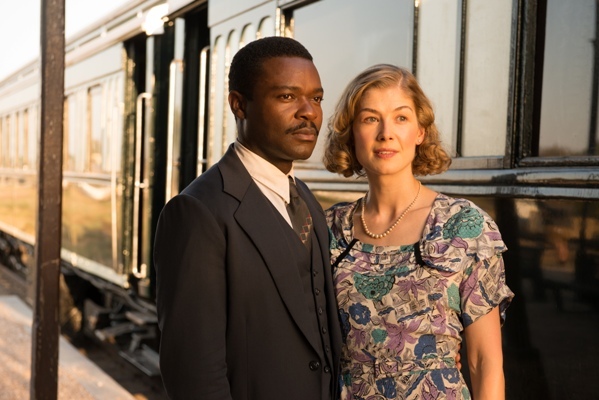 CLICK HERE TO SEE WHAT ROSAMUND PIKE HAD TO SAY TO US IN 2011! #1 � 2017 Jay S. Jacobs. All rights reserved. #2 � 2017 Jay S. Jacobs. All rights reserved. #3 � 2017 Jay S. Jacobs. All rights reserved. #4 � 2017 Jay S. Jacobs. All rights reserved. #5 � 2017 Stanlislav Honzik. Courtesy of Fox Searchlight Pictures. All rights reserved. #6 � 2017 Stanlislav Honzik. Courtesy of Fox Searchlight Pictures. All rights reserved. #7 � 2017 Stanlislav Honzik. Courtesy of Fox Searchlight Pictures. All rights reserved. #8 � 2017 Stanlislav Honzik. Courtesy of Fox Searchlight Pictures. All rights reserved.